I previous wrote the post Looking at Serving Risk and Reward. In it I broke down the risk/reward prospects of serving aggressively by way of a formula. 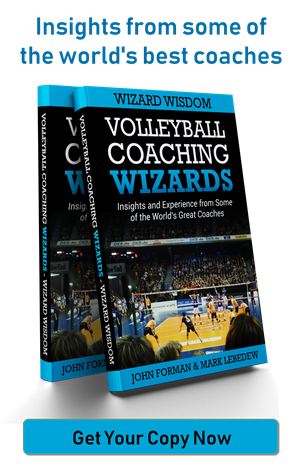 Mark Lebedew and his research partner Ben Raymond posted an analysis of 2018 Volleyball Nations League serving. It basically takes that idea and applies it to real world statistics. There are a number of different graphs which are worth looking at showing the trade-off between service errors and point scoring % (referred to as breakpoint %). For the most part, when you look at the graphs you see a line with a hump. 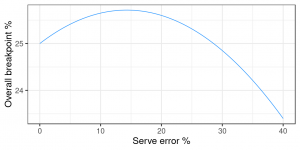 Point scoring percentages are lower when service errors are lowest. They then rise as errors increase, but only up to a certain point. After that the extra errors negatively impact point scoring. In other words, there’s a kind of sweat spot where the risk and reward of serving aggressiveness balance to give the best point scoring percentage. I can speak to this idea from personal experience. One season when I coached at Brown there was a point when I noticed our serving effectiveness had dropped off. 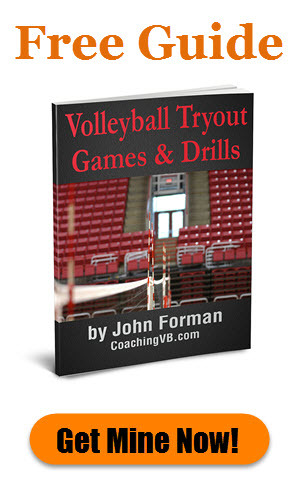 In my analysis I realized we were only on 1-2 errors per set. We were at our best when it was 3-4, so I encouraged our servers to get more aggressive. Here’s a basic example from the report. In the report you’ll see different curve samples based on match data. In fact, no two teams had the same result. For example, the USA graph shows they were best with a notably higher error rate than we see for any of the other teams – at least for that particular match. It’s worth noting that in one case there was no hump in the plot. That was from when France played Korea. The line for France in that match was entirely downward sloping from left to right. That means added service aggression was actually counterproductive. They were better off just keeping the ball in play. 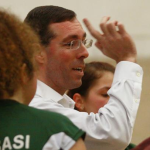 This speaks to what I wrote in the Play conservatively to win, redux post, as well as to a story Iradge Ahrabi-Fard told in his Volleyball Coaching Wizards interview. 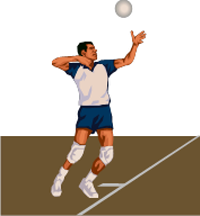 There are certain situations or opponents where missing serves is to be avoided. It’s definitely worth evaluating your own team(s) from this perspective.